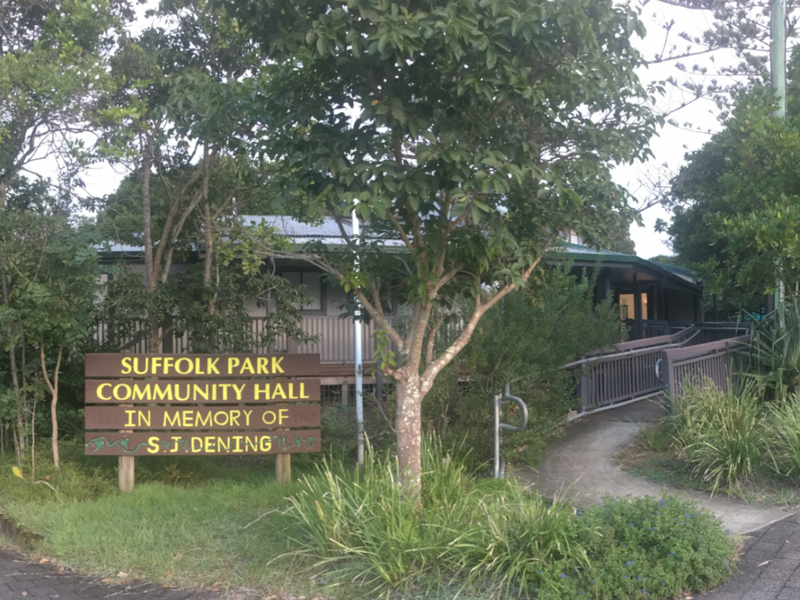 Welcome to the website for the Suffolk Park Hall which is managed by a volunteer committee under Council delegation. This S355 management committee consists of community members and a councillor representative who are responsible for the management of the hall's facilities and functions. Our community centre is located on the corner of Clifford and Alcorn streets in Suffok Park, south of Byron Bay. The hall has a pleasant airy space, with a polished timber floor and a large kitchen. The big covered decks are also a great extension to entertaining areas. Adjacent to the beach, this hall is a great space for family events and children's parties, as well as adult birthday parties, classes, workshops or seminars. This site offers details of the program of events at the hall and information for those wishing to hire the hall for a regular class or a one-off event or function.